We here at AMO recognize that racing motocross is scary and costly. But we also know how it builds great little characters and strong people for the future outside of our sport. The Atlas Brace Tyke Series is formed to allow first-time racers to get a chance to see how we do it and maybe join our family for years to come. Is this you? Moto times – Sign in open till 9:45am Sunday, Practice 10am. Moto APPROX. times 12pm and 2pm. For all little racers that attend all three events, they will all receive an Atlas Brace Goodie bag at the year-end banquet. Plus, 3 names out of all the kids that raced all three events will be drawn and win a FREE Atlas Brace as well as FREE 2019 MRC membership towards their 2019 race season. 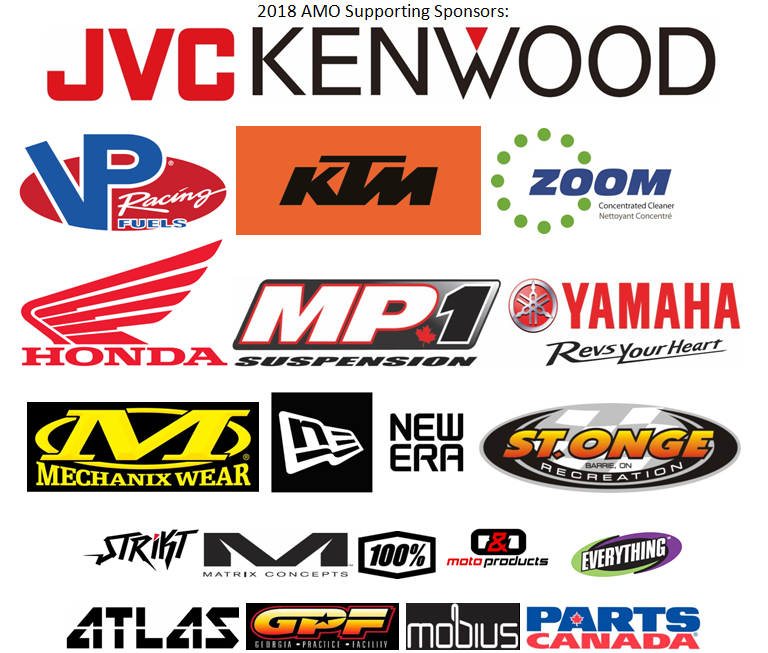 AMO is the future for Motocross in Ontario and we want you to be part of it! !